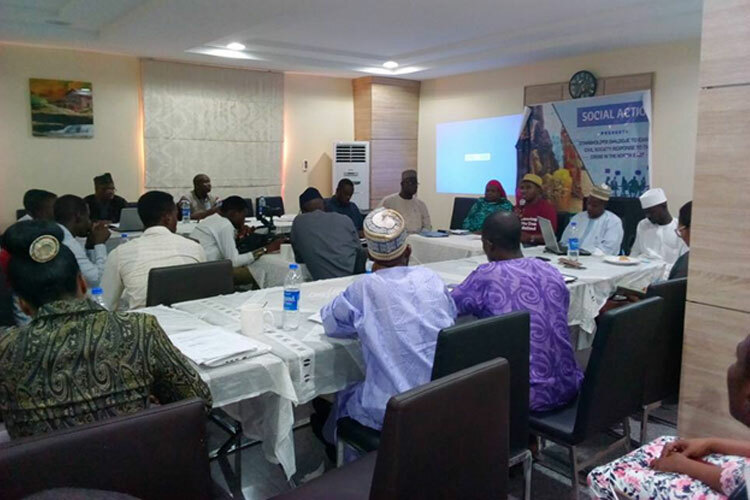 In November 2017, Social Action and partner organisation, YARAC organised citizens’ dialogues in Maiduguri and Yola as part of the ongoing effort to identify alternative solutions to social and ecological crisis in north-eastern Nigeria. 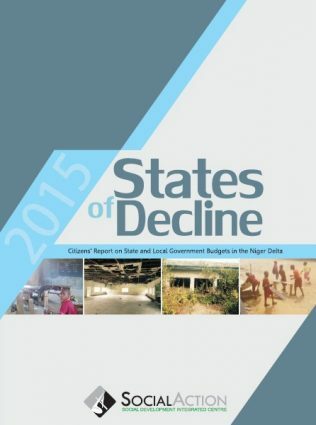 Participants comprising civil society groups, development experts, academia, governmental and non-governmental actors have identified the correction of structural imbalances embedded in the socio-economic, political and ecological configuration of north-east Nigeria as fundamental to engendering genuine and lasting development in the region. They said any effort to sustainably re-build the region must incorporate concrete mechanisms for tackling ecological issues while incorporating solid frameworks for socio-economic development and sound governance principles with active elements of citizens-focused accountability mechanisms.The stakeholders made the points at a Dialogue on Examining Civil Societies Responses to the Humanitarian Crisis in the North-East held in Maiduguri, Borno State on Tuesday, November 28, 2017. A similar dialogue held in Yola, Adamawa State on Monday, November 20, 2017. With the background of lingering Boko Haram conflict in the north-east of Nigeria, which has resulted in an unprecedented humanitarian catastrophe, the dialogues were organized by the Social Development Integrated Centre (Social Action) in collaboration with the Youth, Adolescence, Reflection and Action Centre (YARAC) in continuation of effort to provide space for conversations towards building common understanding about how to address immediate and underlying causes of the conflicts. 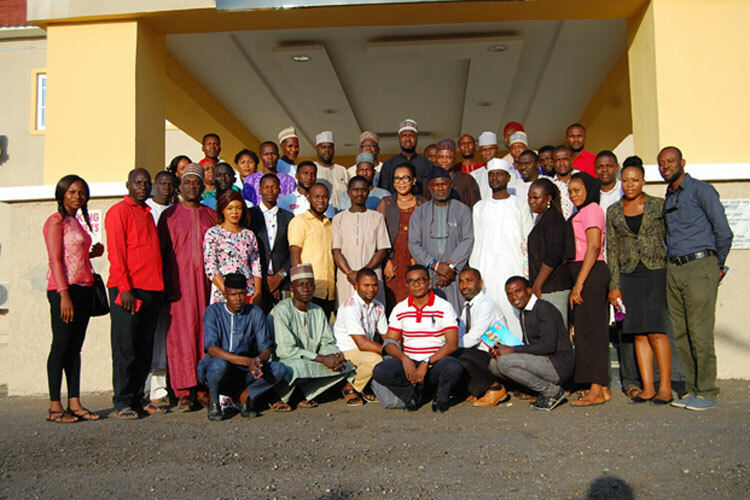 In his presentation at the Maiduguri meeting, the Director-General, Centre for Disaster Risk Management and Development Studies, University of Maiduguri, Professor Muhammed Daura called for an integrated approach to solving the problems confronting the area. He stressed that ecological factors such as climate change and human-induced conditions such as state corruption and inadequate governance are among the underlying causes of the crisis in the region. Professor Daura explained that by its geographical location in the Sahel, the region is prone to varying climatic and ecological vagaries as being witnessed in the extensive draughts and desertification, receding Lake Chad, sweeping floods and gully erosion. These have led to severe complications and difficulties from massive loss of land, water and biodiversity that impact on the livelihoods of the inhabitants of the region. The economic instability occasioned by ecological changes results in the dislocation of families, creating fertile conditions for conflicts. 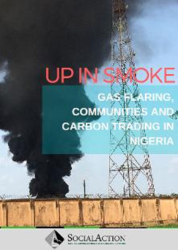 Professor Daura decried the low technological adaptation to climate change and called for subsidy on alternative energy sources. He added that provision should also be made for alternative, efficient and environmentally-friendly ‘Safe-Tree Species’ for the region. The disaster risk expert pointed out that while nature and environment have posed a significant challenge to the region, on one hand, human attitude and actions have also been a significant problem to the whole mix. For instance, poverty is related to unchecked population growth, high level of illiteracy and over-grazing. Also speaking, Director, Ministry of Women Affairs and Social Development, Borno State, Hajia Yabuwa Kolo, lauded the intervention by Social Action and YARAC describing it as being in synergy with the goals and aspirations of her Ministry and State government towards women and children. She, however, bemoaned some of the challenges her ministry faced in discharging its duties explaining that a bulk of the pledges made at the Oslo Conference towards the humanitarian assistance of the crisis affected people of the Northeast have not been redeemed, putting her ministry at difficulty in effectively discharging its mandate. Hajia Yabuwa added that better coping mechanism needs to be put in place for women facing the challenges of climate change while she urged the media to be more proactive to help keep NGOs and other development workers in the area alive to their roles and responsibilities. Other stakeholders in the dialogue made a strong case for streamlining the works of the various NGOs in the regions to be more result-oriented, avoid over-arching duplicity and enhance better service delivery and accountability. Speakers also called for the incorporation and inclusion of traditional institutions by NGOs in their partnership stratagem, adding that local capacities must also be built amongst grassroots bodies and CSOs in other to reduce over-dependence on foreign aids, capacities and assistance in tackling some of the local challenges in the area.